We know the tricks of the trade. Our export management provides you with a streamlined and effective program that is customised to your unique business needs. With us, you will get it right the first time. We work with you to confirm your objectives and formulate a plan. Not all products are suitable for all markets. Issues with import standards, consumer preferences and pricing – do it right, do it once. Exporting is expensive and mistakes are costly. Use our experience to build a plan based on market intelligence, trade data and experience. A key step in confirming a market but usually the last undertaken by exporters. Ensure your destination accepts your product before you invest. Be competitive and maximise profit. Time and again, we achieve more profit for a product than our clients expected. It’s all in the research. Competition internationally is intense and your advantage here is not always your advantage overseas – Use the right communication to win the business. Time is short. Know who your customer is and how to reach them. Let the CVEN team target the right buyer and sort out the wheat from the chaff. It’s onerous and can be a compliance nightmare but we move enough product to enough destinations to make it look easy. The day to day export operations fully managed by an experienced export team ensures you have time to focus on managing the business’ growth. The international market place is highly competitive and you need to identify what it is that makes you stand out from the crowd. Our advisers work with you to identify your unique service proposition and how that meets the needs of your customers. Our advisers gather information about your business, your product or service and the key industry drivers. The objective of the strategic review is to identify what the business does well and what areas our advisers need to help develop. Once we have undertaken a strategic review, our advisers will work to build an export development plan. Markets of opportunity are identified and the competitive landscape is evaluated. Country entry requirements are assessed and key markets are shortlisted. Our advisers work to develop pricing policies based on the outcomes of the competitive review. IP protection, legal compliance, packaging and logistics strategies are established to ensure the client’s offering is clear, well positioned and profitable. Our marketing team realigns your communication messages to ensure your value proposition is clear and culturally relevant. Export procedures, documentation and contract templates are drafted to ensure the client’s interests are protected. Our trade advisers are experienced in international trade and have an impressive track record. They work with you before and after each customer meeting to support your cultural learning and drive business growth. 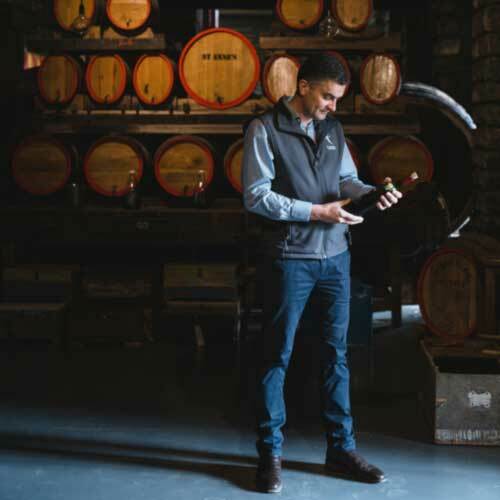 The Free Trade Agreement, a lower Australian dollar and the rapid expansion of the North Asian wine markets created an opportune time for Australian wine producers to expand their operations. But Richard and Anne from St Anne’s winery were unfamiliar with export processes, lacked an international distribution network and didn’t know how to best select target markets to focus on for export. That’s where we stepped in.